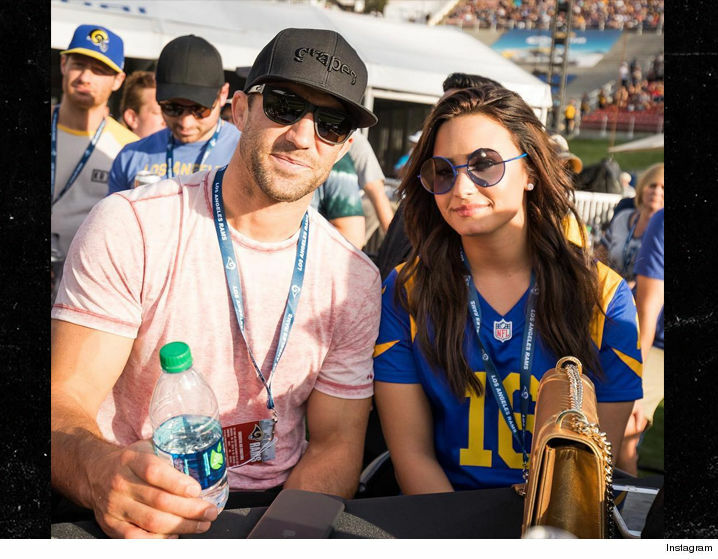 FINALLY … Luke Rockhold and Demi Lovato have gone public with their relationship — hitting up an NFL game as a couple this weekend … and we got the pic. TMZ Sports broke the story … Luke and Demi began quietly dating at the beginning of the summer after hitting it off at the Unbreakable MMA gym in L.A. There was some secret social media flirting … but for the most part, they kept things on the D.L. — until Sunday when they arrived to the L.A. Rams game together and even posed for pics. We’re told things are going really well so far … (for the couple, not the Rams).